On December 3, 2018, Dr. David Saint-Jacques co-piloted a Russian Soyuz spacecraft for the six-hour journey to the International Space Station [ISS]. The crew trio includes its Russian mission commander Oleg Kononenko and American astronaut Anne McClain. During his six-and-a-half-month stint aboard ISS, Saint-Jacques will also serve as the crew’s doctor on board. One aspect of the Avian Migration Aerial Surface Space [AMASS] project in partnership w/ NASA and CSA will feature photographic images of several migratory bird habitats from above-Earth perspectives. Dr. Saint-Jacques will schedule and plan these with the AMASS Principal Investigator and Project Lead, Dr. Roberta Bondar. On Tuesday, January 22, 2019, Dr. Saint-Jacques, Jenni Sidey-Gibbons, and Dr. Bondar launched Exploring Earth together. 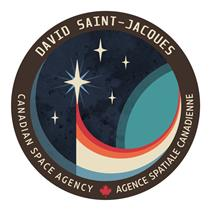 You can check in on David Saint-Jacques’ Mission on this link to CSA/NASA YouTube!